That’s interesting. I’ve been tempted by the kinect as well. Can’t wait to see your review once you actually get it. 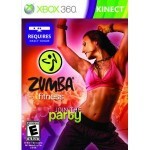 i just got the kinect and fitness evolved today. I tested it out for about 20 minutes trying the different options, and it looks VERY promising. if you actually do it that is. but from my limited test, its fun. heart rate went up and i broke a sweat. and you can talk back to your trainer, saying things you always wanted to a real trainer but were skerd to. Cool, thanks for posting this. I love to game too but the fitness games out there aren’t very interesting or are usually garbage. I’m curious to see how these kinect games will stack up against the Wii stuff that’s out there. Looking forward to checking out your review! I’ve got the Kinect Sensor as of launch day, but the Your Shape: Fitness Evolved game is taking a little longer to get here. My initial impressions of the Kinect? It’s a lot of fun, and you definitely get some exercise using it. You do need a lot of space to use it, however. From what I’ve read in another review, the Your Shape game also uses the most room of any of the Kinect launch games. We’ll see! Kinect Adventures, that came with the Kinect, features 3 demos for Kinect games, one of them being Your Shape. I tried it, and so far it seems very intuitive to use, and the motion tracking works very well. Can’t wait to try out my full copy of the game when it arrives. I should have the game within the next day or so. I tried out Kinect Sports in a store, and loved it! There hasn’t been as much buzz about this game as there has been about the others, but the soccer and boxing games are lots of fun and intense. 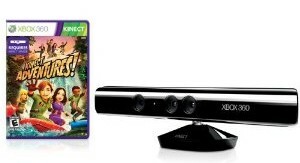 Kinect is like Wii when it first came out: it sells itself. 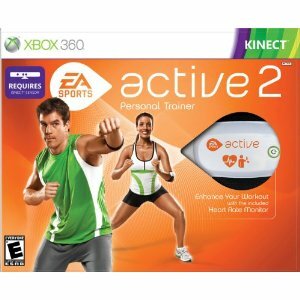 I’m very interested in hearing how good Kinect Adventures is as a workout. 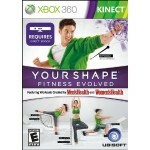 There are very few if any reviews of Kinect from a fitness point of view. After trying Kinect Adventures for several days, I can tell you that several of the mini-games in the title are a great workout. The raft ride and obstacle reflex ridge are especially intense and end up making me sweat every time. I’ve played the Your Shape Fitness Evolved game once now, and two days later (today) I’m pretty sore. It has some pretty intense workouts – and it works awesome!